^ http://www.ils.uec.ac.jp/~dima/PhysRevLett_94_013203.pdf H. Oberst, D. Kouznetsov, K. Shimizu, J. Fujita, F. Shimizu. Fresnel diffraction mirror for atomic wave, Physical Review Letters, 94, 013203 (2005). 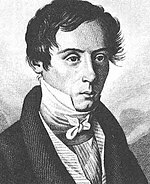 Goodman, Joseph W. Introduction to Fourier optics. New York: McGraw-Hill. 1996. ISBN 0-07-024254-2.